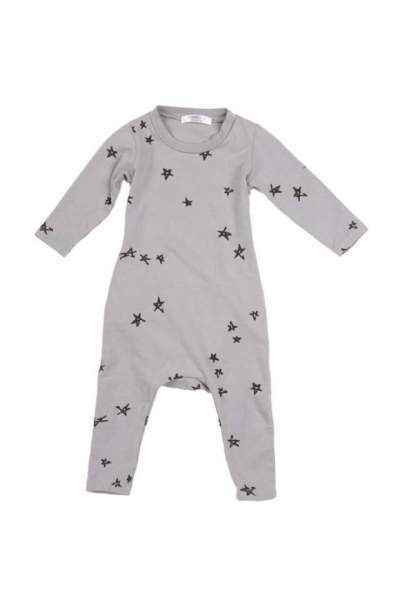 This modern one piece baby clothes outfit features a fun star print. 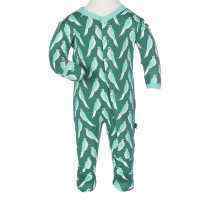 This modern one piece baby clothes playsuit was made in the U.S.A. 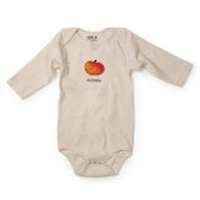 This gray modern infant outfit is unisex and contains no snaps to make dressing baby easy. 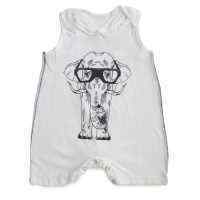 Just pull this playsuit over baby's head, insert legs, and pull it up over baby's behind. 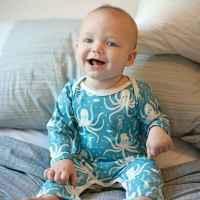 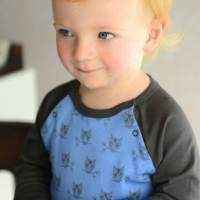 This modern one piece baby clothes playsuit makes a hip outfit for any infant or toddler. 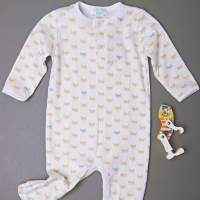 Note that the star scarf in some of the photos does not come with this one piece infant outfit.